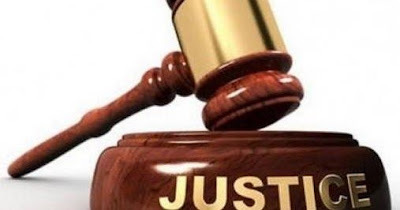 Court proceedings on the charge against Yusuf Yahaya Kwande and Osahon Asemota involving alleged conspiracy to steal $8.4 million worth of Automative Gas Oil (AGO) in 2008 is still ongoing. According to the Prosecuting Counsel, E. A. Jackson (Special Fraud Unit, an arm in the Nigerian Police Force), the alledged fraudulent conversation of the 6400 metric tonnes of AGO was carried out between October 22nd and December 15th, 2008. The Economic and Financial Crimes Commission has since sued both oil marketers of three count charges along side Trafigura Beehee BV, Trafigura PTE Limited, Mettle Energy and Gas, Rembrandt Limited, Oil Services Limited and Jil Engineering Oil Services Ltd before Justice Mojisola Dada of an Ikeja Special Offences Court. In 2008, Renbrandt Limited (owned by Osahon Asemota) entered into a contract with Trafigura Beheer BV for the supply of approximately 10000MT of AGO and Trafigura fulfilled its contractual obligation (this was confirmed during the court proceedings). Neither did Yusuf Yahaya-Kwande nor Trafigura Beheer BV at any point in this transaction had a contract or correspondence with Nadabo Energy Ltd the complainant in this suit through FRN. The Charter Party Agreement of the receiving vessel (Sichem Province) was between Jill Engineering Oil Service (owned by Oluwatosin Adebajo) and Mettle Energy and Gas (owned by Osahon Asemota) for the 10000MT of AGO to be delivered to Mobil in Eket, however investigations revealed that only 3400MT of AGO was delivered whilst the balance approx 6400MT was diverted to the Ibafon Terminal and sold off. The Charter Party Agreement of the vessel Sichem Province which received approx 10000MT AGO (valued at 11.2M$) in two lots of 7000MT and 3000MT neither had Trafigura Beheer BV(Supplier) or Yusuf Yahaya-Kwande (Broker) on the agreement. According to the details of the Charter Party Agreement that was presented before the judge, the contract was only between Jill Engineering Oil Services Ltd (owned by Oluwatosin Adebajo) and Mettle Energy and Gas (Owned by Osahon Asemota) with no mention of Yusuf Yahaya-Kwande. In the absence of any documentation to prove that Yusuf Yahaya-Kwande was the operations Director for Trafigura or the Alter Ego of Trafigura, the cross examination of Mr. Etudo who used to be Renbrandt and Mettle Energy's lawyer by Prof. Taiwo Osipitan SAN reaffirms that Yusuf Yahaya-Kwande was only a Broker in the 10000MT AGO deal between Trafigura Beheer BV and Renbrandt and not a director of operations or an Alter Ego of Trafigura. Mr. Etudo who is Prosecution's first witness told the court that out of the 10000MT AGO received by Renbrandt on the vessel Sichem Province, 3000MT was diverted unto MT Efemo (vessel owned by Osahon Asemota) and 3400MT only was confirmed as delivered to Mobil, Eket. He further stated that the balance left onboard the vessel Sichem Province and the 3000MT (on MT Efemo) were then discharged unto a vessel Ozay 6 which was subsequently taken to Ibafon Terminal and sold off to the tune of 8.4M$.